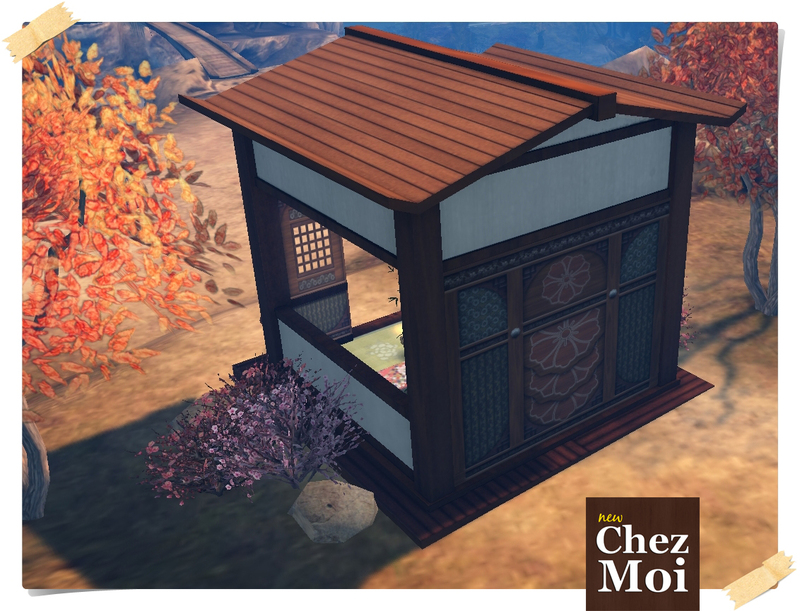 To enjoy a pleasant outdoor environment with a special person, Amare Tree CHEZ MOI. 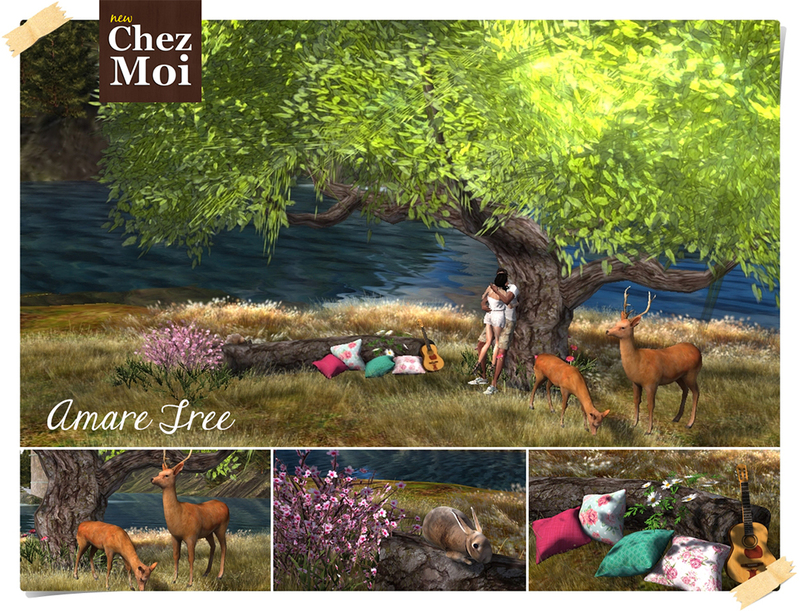 This beautiful tree comes with 64 poses in all, made by the best SL animators. ♥ Massage pose, kissing, playing guitar, sunscreen, giving food to the birds and petting animals. 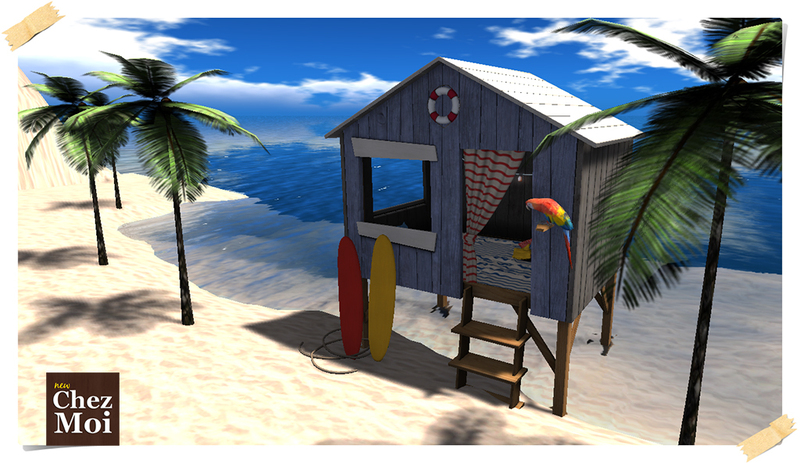 ♥ Props: guitar, birds, book and sun lotion. 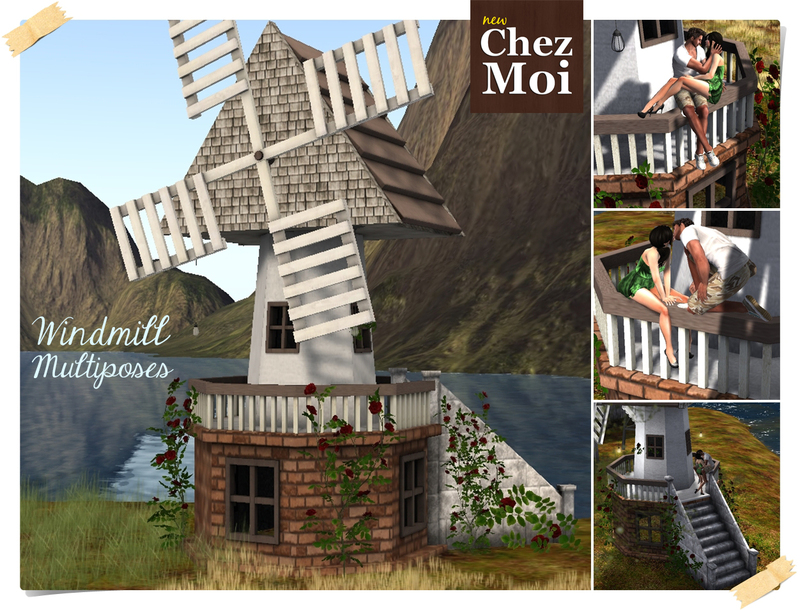 Check more informations here: Marketplace CHEZ MOI or, for a closer look, visit our INWORLD STORE. Stay aware of our new releases and monthly exclusive gifts. 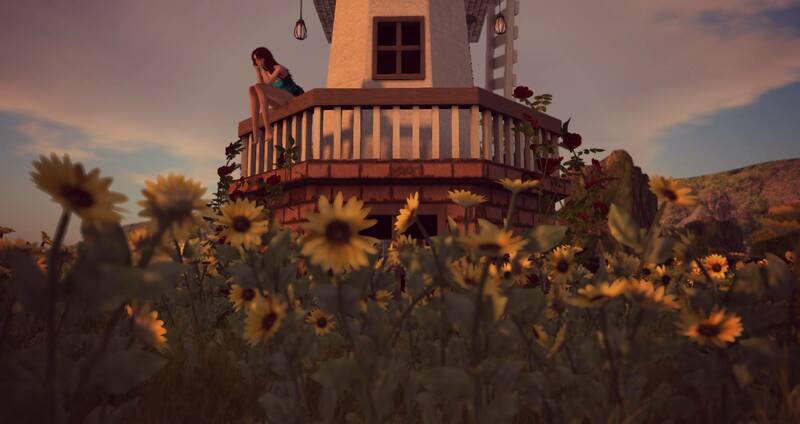 You can join by clicking on the following link on My SecondLife, or you can find the group sign in our Mainstore. 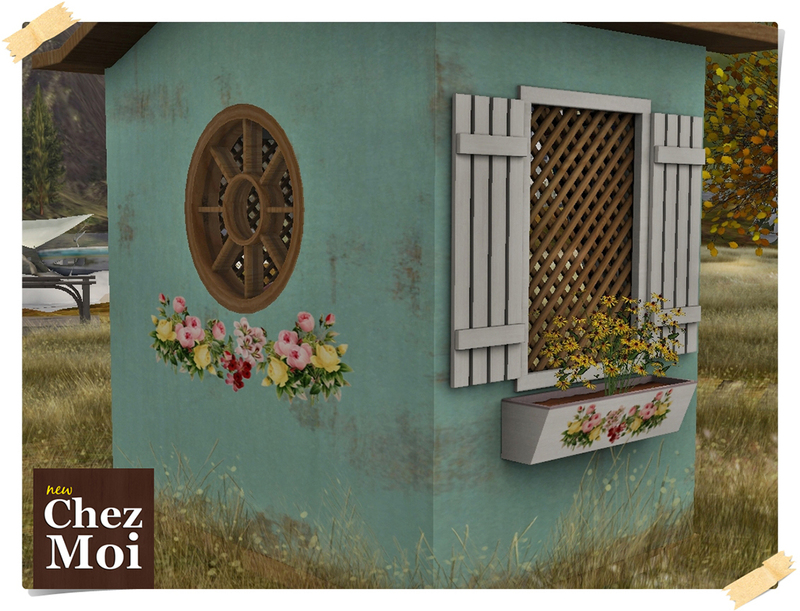 For a fairytale, romance and peaceful atmosphere, Secret Garden CHEZ MOI. 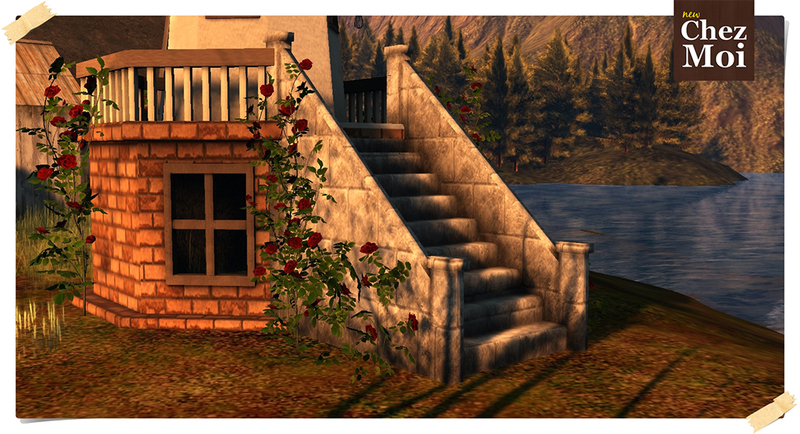 The benches, highly detailed, feature 97 animations (male and female) made by the best animators in the grid. The Light String stuck in the tree brings a special touch to the scenery. ♥ Props: guitar, grape, wine, orange juice and love letter. Click on the lights to turn off or turn it up. 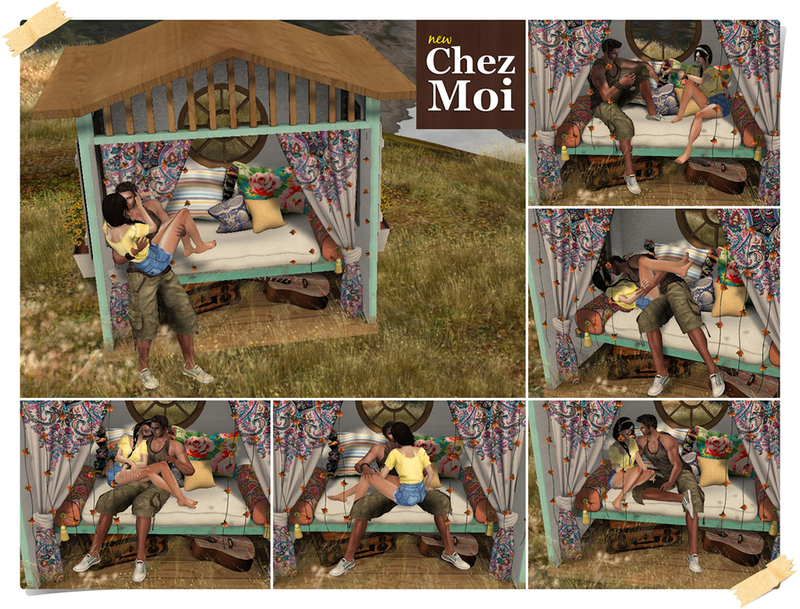 Relax and enjoy the beach with his love in a rustic log cabin full of special poses. ♥ Props: guitar, champagne, sunblock and grapes. Allow yourself to engage in a fascinating atmosphere of mystery, seduction and romance in Sakura no Hana Temple. ♥ Poses to meditate, eat, drink, relax and dating a lot. ♥ Props: sake, tea, wine, book, pad and love letter. The Japanese stool has 16 poses. ♥ Prop drinks, birds, newspaper, coffee and guitar. ♥ Incense for meditation and peace times. The temple also comes with a Wind Chime that gently touches the sound of the wind. ♥ Control by menu – Mute, 1/2 and full sound. Light up your living room with these polished furnitures. 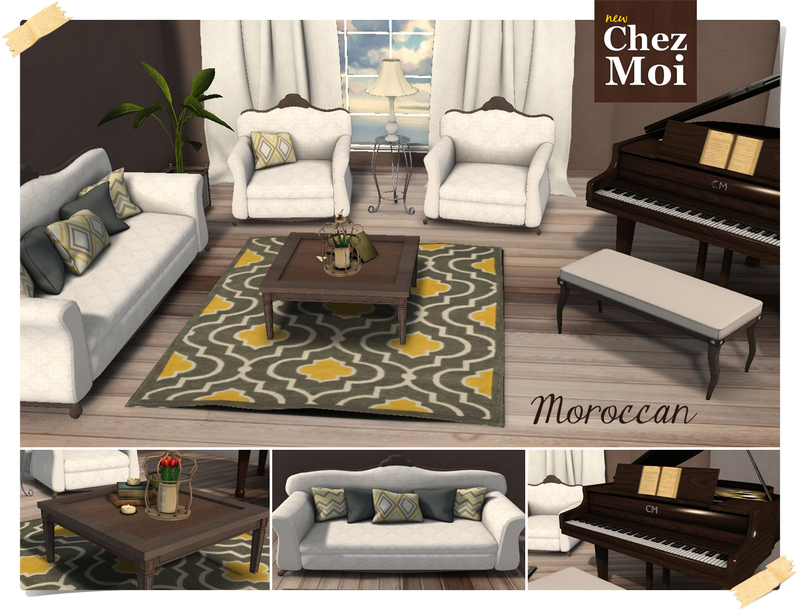 Wood trim along with Moroccan vibrant colors and a beautiful piano multi poses are perfect for bringing life into any space. The sofa has 52 poses in total and place for 1-2 avatars. ♥ Several props: coffee, book, cell, crossword, pen, cat, newspaper and chessboard. The set of armchairs has 14 poses each. Touch the lamp to light up and turn off the lights. This polished wooden piano has 75 poses in all. Place for 1-2 avatars. 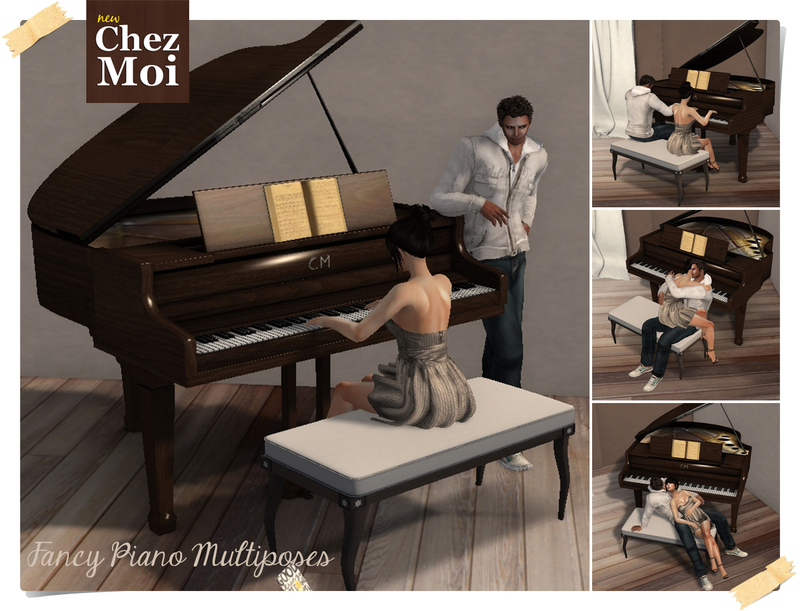 ♥ 3 individual poses to play and enjoy. 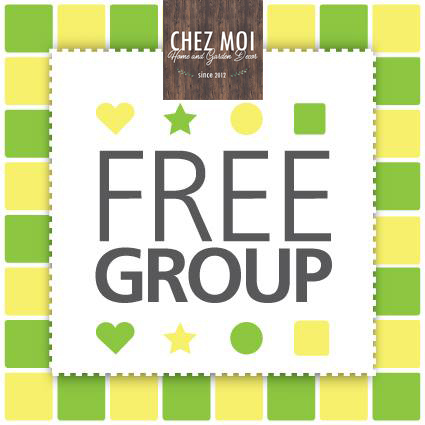 Think outside the house and gather your friends to keep in shape and relax with the Day Spa Chez Moi set. 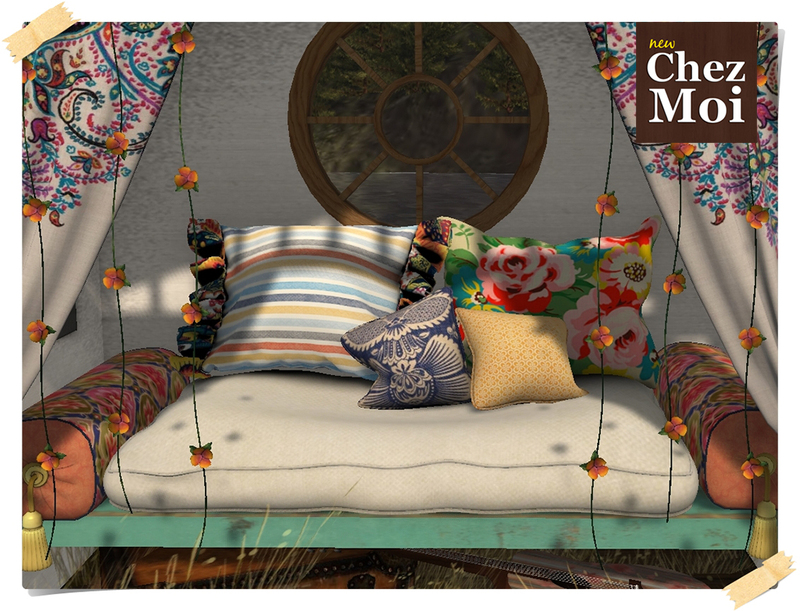 The modern lounge and parasol, the table multi scenes, the yoga mat and comfortable single chaises will create a perfect environment for a relaxing day. ♥ Yoga, tai chi, bending, stretching and more. 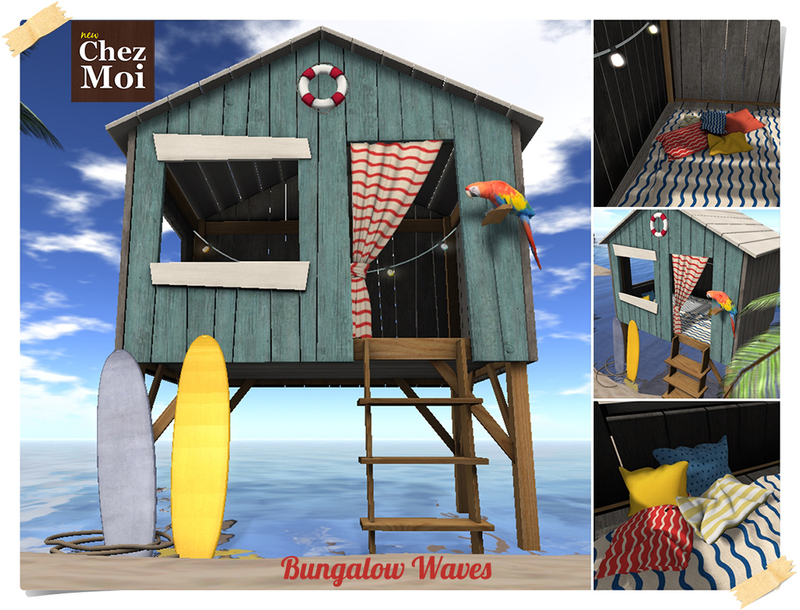 ♥ Texture-change options: The towel has 7 color to choose, just click on it to access the menu. ♥ Props: pillow and massage stones. The table has 4 themed decorations to harmonize with the environment – Controlled by menu. 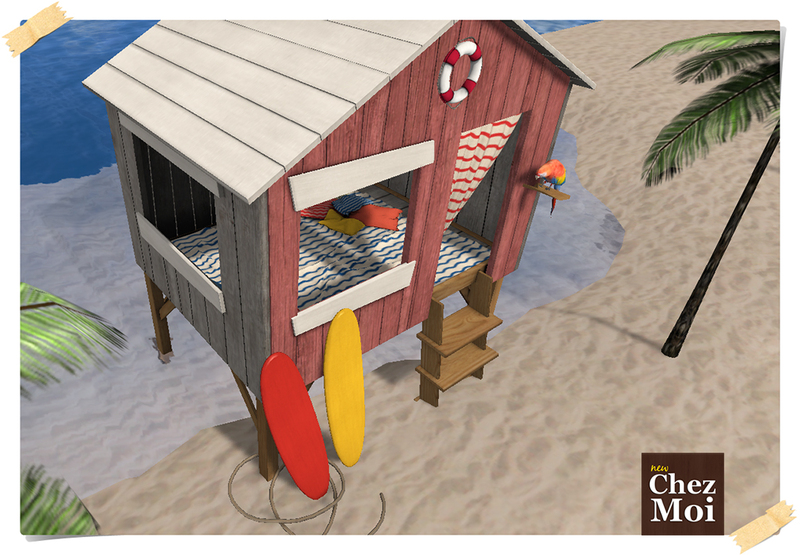 Relax and enjoy the warmth of a beautiful beach accompanied by friends or someone special. ♥ Props: guitar, champagne, grape, book, tablet, mobile phone, headset, love letter, fishing rod, cookie, magazine and pillow. 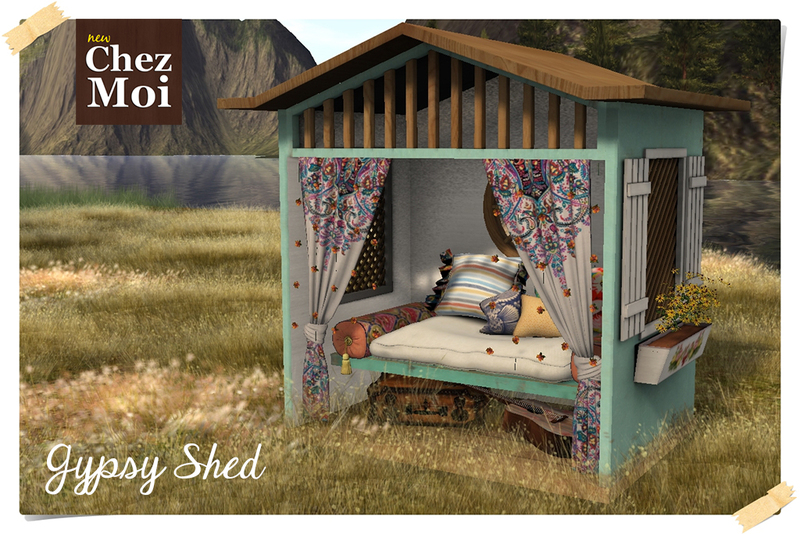 For dreamers, lovers of freedom, peace and love Gypsy Soul Shed CHEZ MOI.